However you vision your perfect kitchen, bedroom or home office, Holmfields Ltd can turn these dreams into reality at your home in Hinckley. 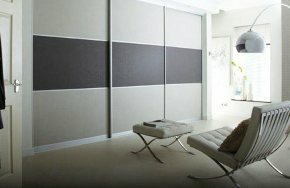 With your customer friendly approach, we will be happy to discuss your requirements and transform your room into the one that you have been dreaming of. Holmfields have been the first port of call for many of our satisfied customers since we began in 1995. We have a wealth of experience when it comes to designing, manufacturing and installing fitted kitchens, bedrooms, and home offices. Whether you’re looking for a traditional or modern style to suit your Hinckley based property, there are many options available. At Holmfields, we give you the freedom to make your fitted bedroom completely individual. Whether you’re opting for a contemporary or traditional style, we can work with you from start to finish. Creating the ideal bedroom for your home in Hinckley. With a wide range of doors and handles, in a variety of colours and finishes, you can find the perfect style for your built-in wardrobes. If you’re looking to maximise your storage space, we can tailor make your wardrobe interiors to accommodate a selection of solutions for shoe storage, shelves, and drawers with built-in soft close as standard. 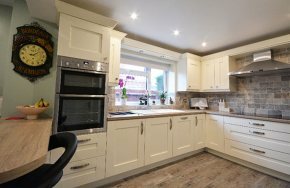 If you’re thinking of getting yourself a new kitchen, but want something unique to your home and personal taste, then look no further than Holmfields Ltd. Choosing a new kitchen can be a daunting task as there is so much to choose from. Our team, with their knowledge, can give you plenty of advice and help. Our made to measure kitchens are excellent quality and we offer a broad range of options to choose from. With bespoke options from sleek contemporary looks, to accommodating shaker styles, to traditional oak kitchens, we’re certain that you will be able to create a room that you love. 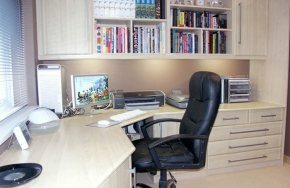 If you’re thinking about fitting a home office, we will work together with you to include the right combination of desks, computer stations, filing drawers and bookcases to give you the perfect workspace that is functional and classy. Our home offices are ideal for those of you who work from home, or if you just need a quiet space when using your computer. Using computer design software we can show you a visual representation of how your room in Hinckley will look when complete. Conveniently located on the outskirts of Leicester City Centre you can visit our showroom and speak to our team to arrange a visit to your property for a measure and a quote. Alternatively, you can call us on 0116 255 6669 or use our online contact form.